But this need goes beyond calling designers on their BS. The truth is, we're missing a big opportunity to bridge the military and civilian world. The United States and its allies have been at war in the Middle East (and elsewhere, unofficially) for a dozen years now, yet only 1% of the U.S. population has served in Iraq or Afghanistan. The result has been an American public divorced from the war's direct impact, experiencing it through economic hardship and national debt rather than personal sacrifice. War-weary and lacking personal connections to the conflict, military and veterans' issues fly under the radar for many Americans. The modern warfare genre's broad appeal has the potential to help civilians better understand the military and how it works, provided an experienced vet can use the media as a jumping-off point to frame the crucial issues. And we are, I hope, coming to a place where there will actually be something better to criticize. While the modern warfare genre hasn't treated the War on Terror in an entirely positive light, I think we're still too close to the war to really make a fair appraisal of it. It took eleven years after the U.S. withdrawal from Vietnam before Platoon came to theaters. Before that, works dealing with the conflict were less serious efforts, focused on the war's aftermath, or used it allegorically like Apocalypse Now. 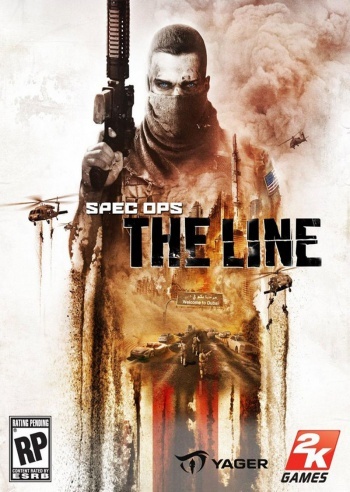 While Spec Ops: The Line was a conscious attempt to recast Apocalypse Now in game form, the rest of the genre is just The Green Berets over and over again - either unable to see the larger picture or unwilling to endanger its profit margin by taking a stand. The first attempt to give the war a matter-of-fact treatment, Six Days in Fallujah, crashed and burned on bad PR, the subject apparently still too raw. Let's hope that in a few years that will no longer be the paradigm. My father's Vietnam stuff fits in half a banker's box. That seems too small for what it represents. There's dad's boonie hat, which he got from swapping equipment with the Aussies, and a Zippo lighter with a map of Vietnam on the back. There are clippings about firefights from the 9th Division newspaper, some photos and a jingling box of medals, unit patches and .50 caliber rounds. One envelope contains five articles from 1986-when I was two years old-all written by veterans arguing whether Platoon is authentic. War media is important, even when it's fictional. It shapes how people view the military and how the veterans view themselves. Even when designed to entertain it can educate non-veterans about the personal and societal costs born from battle. Perhaps most importantly, it can give family members insight into the lives of the people they cherish and serve as a starting point for discussion. For my dad's generation, the chosen medium was film, but today's veterans may be different. Ten years from now, a father may call his son over to the couch, hand him a controller and say: "Hey buddy. C'mere and sit down. I want to show you something." Robert Rath is a freelance writer, novelist, and researcher currently based in Hong Kong. You can follow his exploits at RobWritesPulp.com or on Twitter at @RobWritesPulp.